Advent calendars are a fun, traditional way to count down the days until Christmas and help build anticipation. And kids love them because every day is a little “sneak peek” at the celebration to come. Create one of our three advent calendars, and then use treats like small candies or toys to fill it up—or, fill the calendar with activities you can all do as a family. (Make it stress-free and guilt-free by brainstorming activities that are feasible for your family.) Then, get crafting! 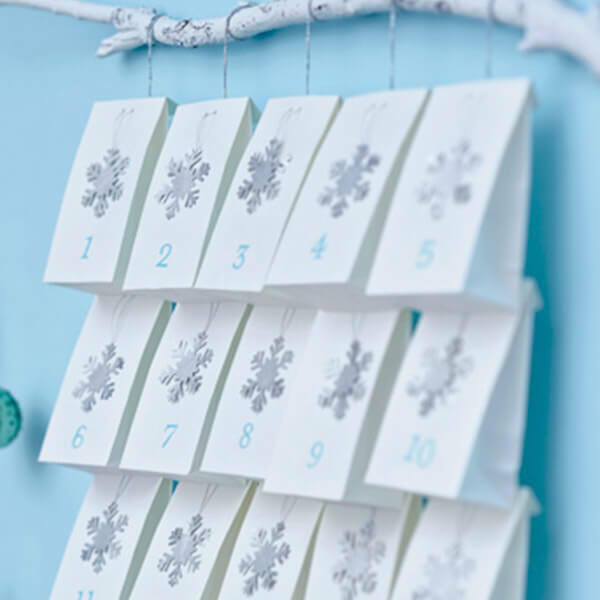 Each DIY advent calendar has a different level of effort—so you’ll be able to decide which is most family-, time- and budget-friendly for you. Need some inspiration for things to fill your craft? Check out our guide for what to put inside your advent calendar. And if you need inspiration for the activities, here’s a Christmas activity checklist to choose from. Box up your advent treats with this easy-to-make and easy-to-display calendar. Who knows, kids may have more fun playing with the boxes than what’s inside. Download the stacked box advent calendar instructions and printables. String along the fun with an advent calendar made from small sacks, a painted tree branch and some silver cord for hanging. Download the advent calendar garland instructions. Open the windows and doors in this cozy Christmas village to find surprises that will delight the youngsters of the house. 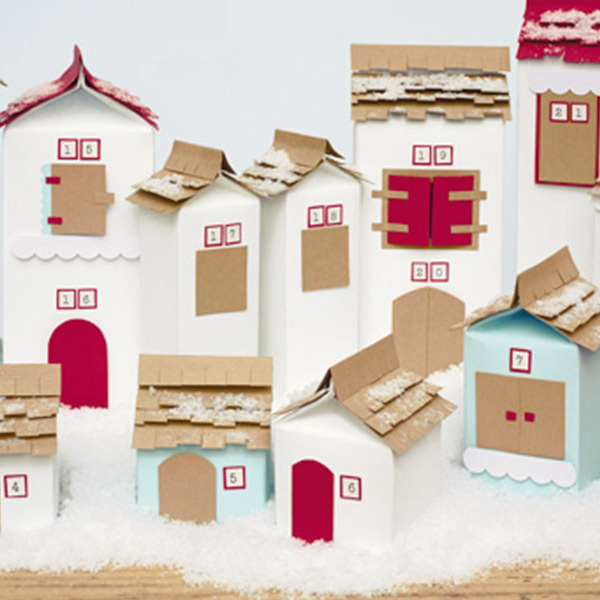 This sweet village is easily created with recycled cartons and containers. 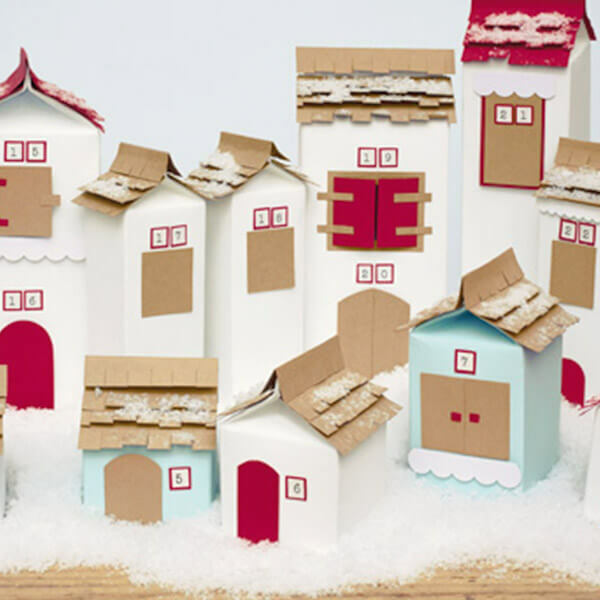 Download the Christmas Village advent calendar instructions.